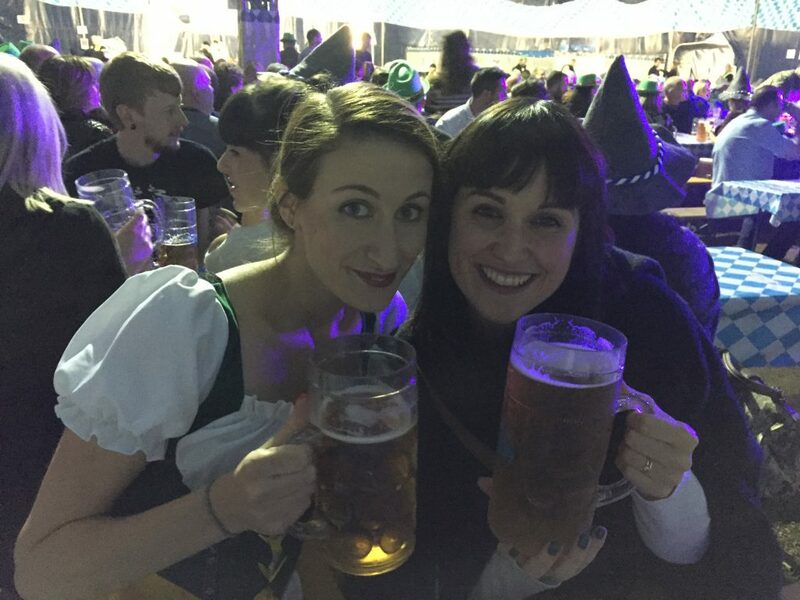 When you combine beer, music, bratwurst and mud, great things are bound to happen… On Saturday, two of my friends and I dressed up like Bavarian girls and made a day of Oktoberfest in Hull! This was the first time that I’ve ever been to anything like this, and it was a first for Hull as well. The doors opened at 2 pm. We arrived at around 2:30 and there still weren’t many people there. We took advantage of this opportunity to snap a few photos of us in our outfits before our makeup and dignities went out the window. Or in this case, a massive circus-like tent. 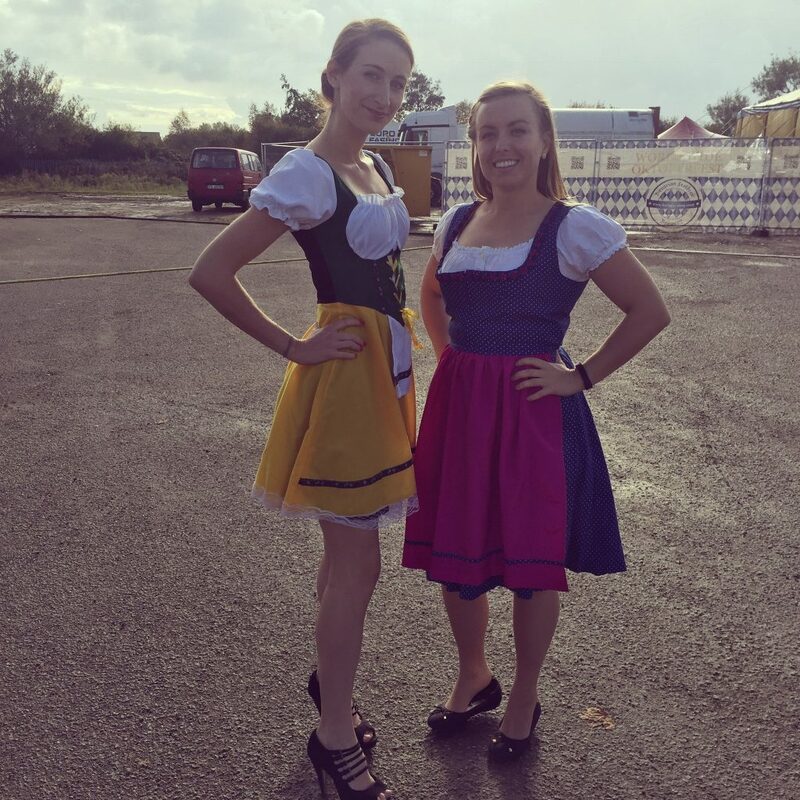 The outfits we are wearing are called “Dirndl“. It’s a traditional type of dress worn in Austria, South Tyrol and Bavaria. Most basically, it consists a blouse, bodice, skirt and apron, and were worn originally by the peasant class. 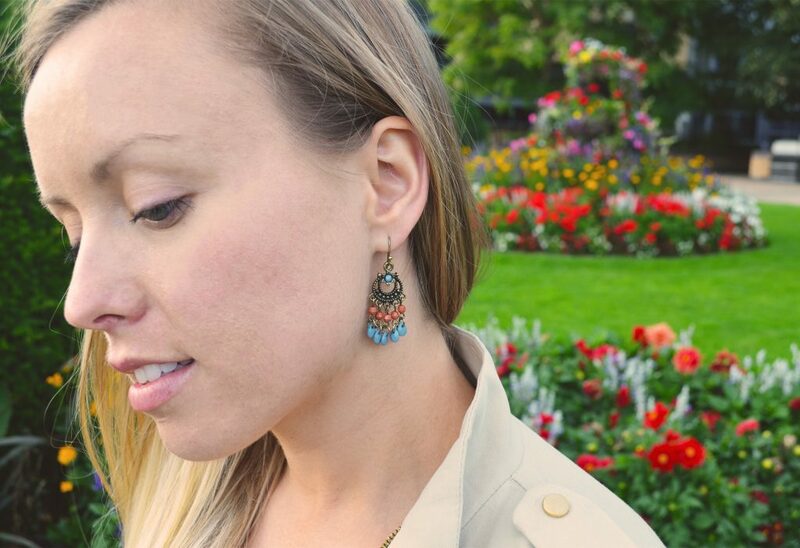 It’s still quite popular to wear them at the real Oktoberfest, in Munich. 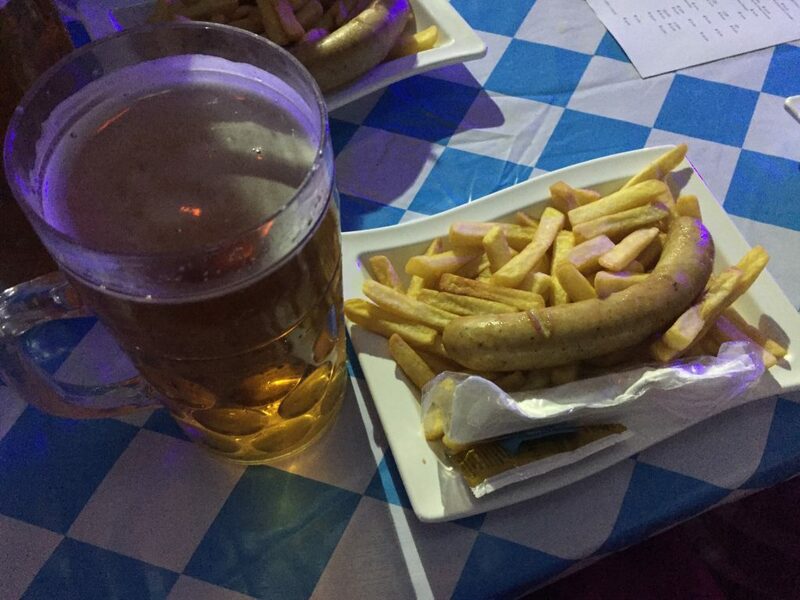 Our tickets included admission, a Stein (or a large glass containing 2 pint of Oktoberfest beer), a bratwurst and chips. and a German digestive shot. The food was alright (not the best brat I’ve ever had) but I really enjoyed the beer. 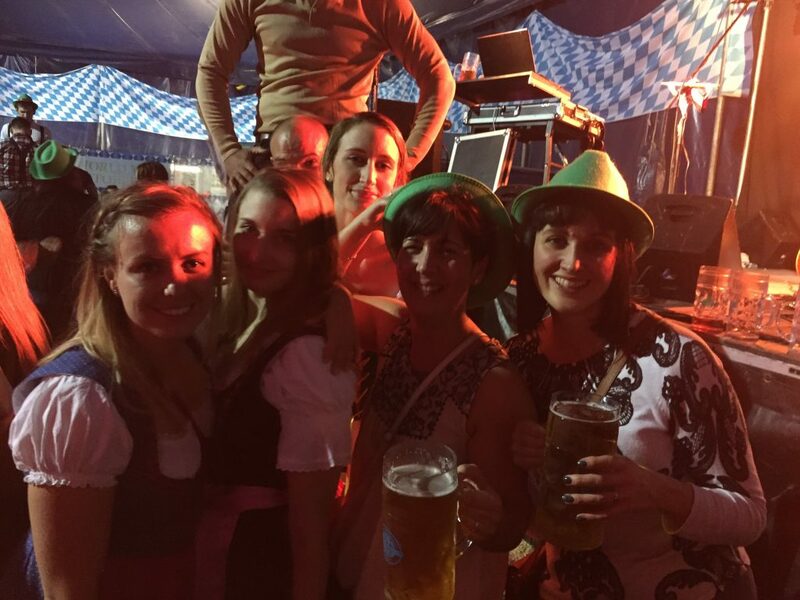 After a few steins, the entire tent was dancing on their respective tables. 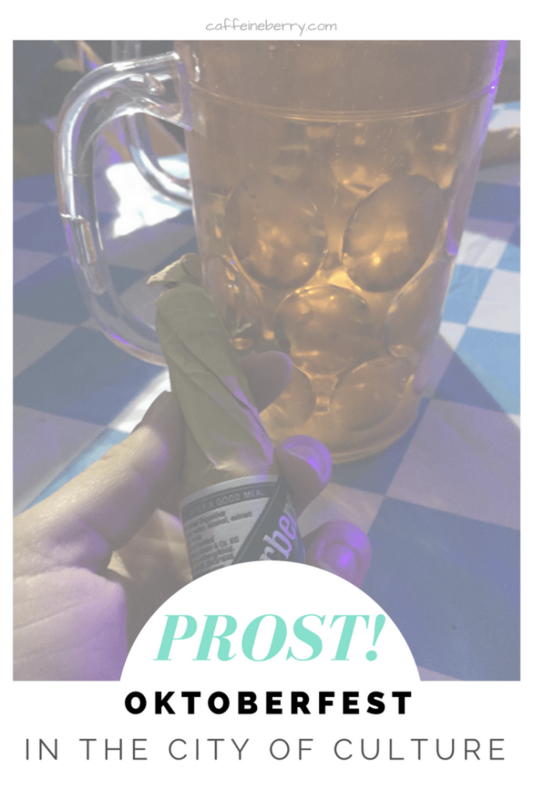 ‘Prost’ or ‘Prosit’ is a toast to someones health. I’m not sure there was anything healthy about that night, but there was such a good atmosphere. I had so much fun. Usually it doesn’t take much for me to start dancing and especially not after a Stein and some Bratwurst. Towards the end of the night, the ground just became a muddy dance floor and the band was playing pop covers. All of us were singing along, dancing and really letting loose. We were covered in mud and beer but the mood was contagious throughout. Can’t wait for next year’s! 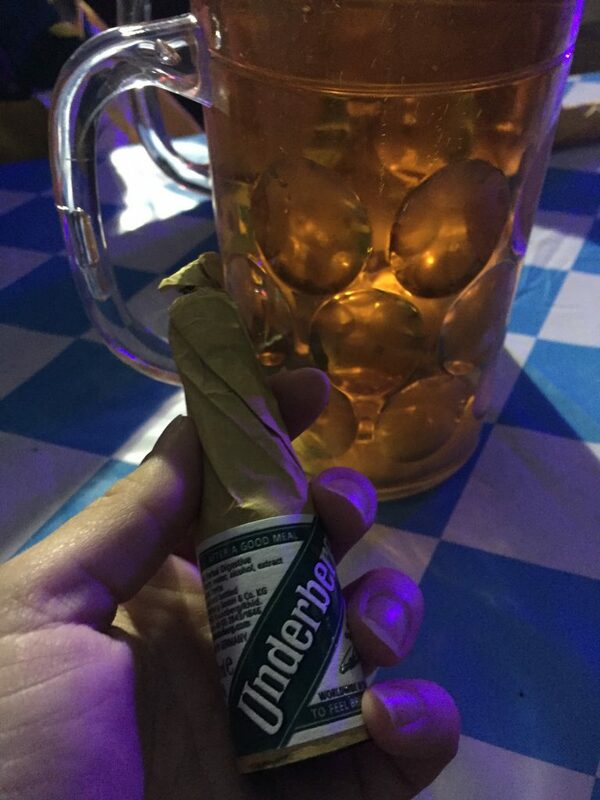 Who knows, maybe I’ll even venture to the real Oktoberfest in Munich!